Match ends, Levante 2, Leganés 0. 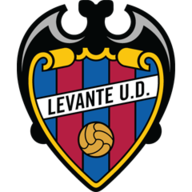 Second Half ends, Levante 2, Leganés 0. Attempt missed. Nabil El Zhar (Leganés) right footed shot from outside the box is close, but misses to the left. Assisted by Recio. Goal! Levante 2, Leganés 0. Rubén Rochina (Levante) left footed shot from the centre of the box to the bottom right corner. Assisted by José Luis Morales. Attempt missed. Óscar Rodríguez (Leganés) right footed shot from outside the box misses to the right. Assisted by Rubén Pérez. Substitution, Levante. Pedro López replaces Jason. Attempt missed. Jonathan Silva (Leganés) left footed shot from outside the box is high and wide to the right. Attempt blocked. Óscar Rodríguez (Leganés) right footed shot from the left side of the box is blocked. Assisted by Jonathan Silva. Attempt blocked. Nabil El Zhar (Leganés) right footed shot from outside the box is blocked. Assisted by Recio. Attempt saved. Recio (Leganés) right footed shot from outside the box is saved in the bottom left corner. Assisted by Nabil El Zhar. Attempt missed. Dimitrios Siovas (Leganés) header from very close range is just a bit too high following a set piece situation. Youssef En-Nesyri (Leganés) hits the bar with a header from the centre of the box. Assisted by Rubén Pérez following a set piece situation. Diego Rolan (Leganés) wins a free kick on the right wing. Attempt missed. Youssef En-Nesyri (Leganés) right footed shot from the right side of the box is close, but misses to the right. Assisted by Guido Carrillo following a fast break. Hand ball by Diego Rolan (Leganés). Substitution, Leganés. Nabil El Zhar replaces Rodrigo Tarín. Youssef En-Nesyri (Leganés) hits the bar with a right footed shot from the centre of the box. Assisted by Diego Rolan. Corner, Levante. Conceded by Youssef En-Nesyri. Substitution, Leganés. Diego Rolan replaces Juanfran. Attempt missed. Juanfran (Leganés) left footed shot from the right side of the box is close, but misses to the left. Attempt blocked. José Luis Morales (Levante) right footed shot from the left side of the box is blocked. Assisted by Rubén Rochina. Substitution, Levante. Emmanuel Boateng replaces Roger Martí. Substitution, Leganés. Youssef En-Nesyri replaces Sabin Merino. Attempt saved. Recio (Leganés) right footed shot from the centre of the box is saved in the centre of the goal. Attempt missed. Recio (Leganés) header from the centre of the box misses to the right. Assisted by Jonathan Silva with a cross. Corner, Levante. Conceded by Jonathan Silva. Attempt saved. Jason (Levante) right footed shot from the right side of the box is saved in the centre of the goal. Assisted by Rubén Rochina. Attempt missed. Recio (Leganés) right footed shot from outside the box is too high. Assisted by Rubén Pérez. Corner, Leganés. Conceded by Chema Rodríguez. Attempt missed. Rubén Rochina (Levante) left footed shot from outside the box is just a bit too high. Assisted by Jason. Corner, Levante. Conceded by Kenneth Omeruo. 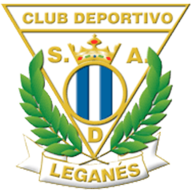 Second Half begins Levante 1, Leganés 0. First Half ends, Levante 1, Leganés 0. Attempt missed. Recio (Leganés) right footed shot from the right side of the box is close, but misses to the right. Assisted by Óscar Rodríguez. Hand ball by Sabin Merino (Leganés). Offside, Leganés. Jonathan Silva tries a through ball, but Sabin Merino is caught offside. Attempt saved. Guido Carrillo (Leganés) header from the centre of the box is saved in the bottom right corner. Assisted by Dimitrios Siovas with a cross. Attempt blocked. Guido Carrillo (Leganés) header from the centre of the box is blocked. Assisted by Jonathan Silva with a cross. Corner, Leganés. Conceded by Jason. Attempt missed. Dimitrios Siovas (Leganés) left footed shot from outside the box misses to the left. Attempt saved. Jonathan Silva (Leganés) left footed shot from a difficult angle and long range on the left is saved in the bottom left corner. Attempt saved. Enis Bardhi (Levante) right footed shot from outside the box is saved in the bottom left corner. Assisted by Toño. Substitution, Levante. Chema Rodríguez replaces Erick Cabaco because of an injury. Attempt missed. Jason (Levante) right footed shot from the centre of the box is close, but misses to the right. Assisted by José Luis Morales. Sabin Merino (Leganés) wins a free kick on the right wing. Attempt saved. Guido Carrillo (Leganés) right footed shot from the centre of the box is saved in the centre of the goal. Goal! Levante 1, Leganés 0. Roger Martí (Levante) right footed shot from the centre of the box to the bottom left corner. Assisted by José Campaña. Attempt saved. Óscar Rodríguez (Leganés) right footed shot from outside the box is saved in the centre of the goal. Assisted by Juanfran. Offside, Leganés. Rodrigo Tarín tries a through ball, but Guido Carrillo is caught offside. Attempt missed. Rubén Rochina (Levante) right footed shot from outside the box misses to the left.